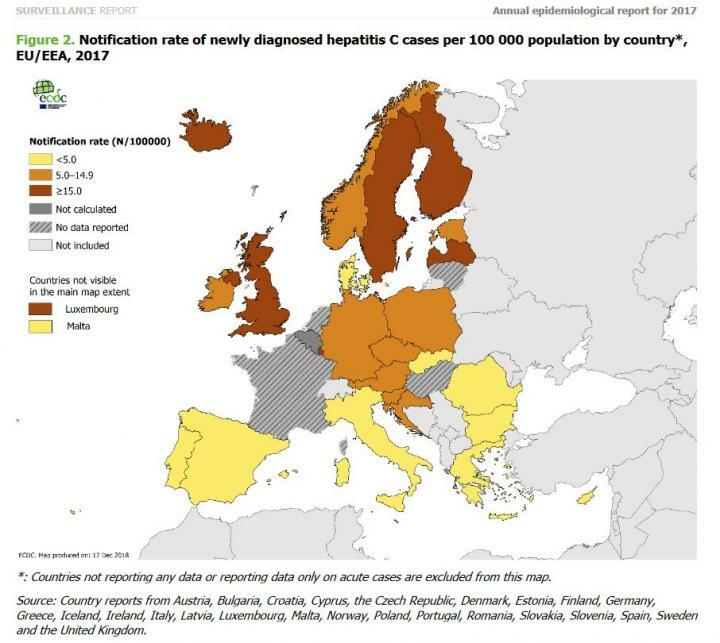 The available data indicate that the highest rate of newly diagnosed cases of hepatitis C virus (HCV) infection is among men between 25-44 years of age – a profile that is consistent with the demographic of people who inject drugs. Injecting drug use is still the predominant route of HCV transmission accounting for 44% of cases with information on the transmission status. However, data on the presumed mode of transmission was available for less than a third of the reported cases in 2017 (26%).